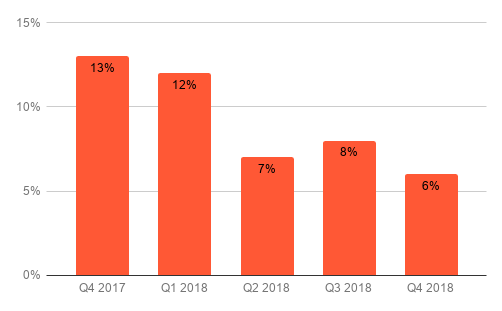 After an anomaly in Q4 of 2017, when small player rates logged 3% higher on premium sites than aggregator sites, things got back to normal this year. 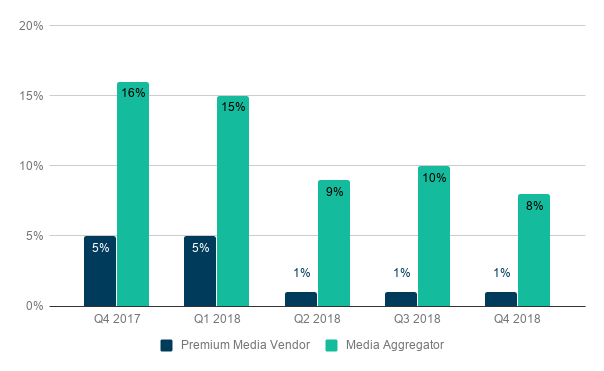 Small player rates on premium sites remained much lower than on aggregator sites each quarter—sometimes as by as much as 37 percentage points. 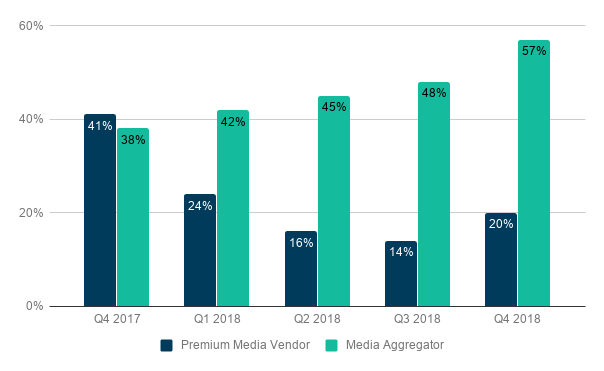 In-banner video rates for both premium and aggregator sites continued their declines in 2018, with premium sites down to 1% in Q2 and Q3. 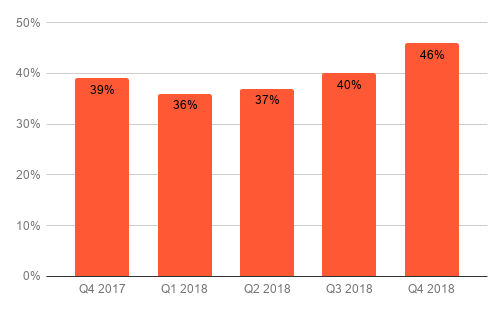 As we noted last year, in-banner video is likely on its way out, having run its course due to a focus on larger, more prominent players.